There is hardly any person who you will find looking forward to the process of relocation withÂ much enthusiasm. After all, you need to contact utility service providers, make sure your entireÂ house is cleaned prior to shifting, hire a professional removals organization in advance and ofÂ course ensure that all your belongings are packed properly. The big question is how should youÂ pack up your home for relocation? How much time will be required for packing all the belongings? Well, it will primarily depend onÂ the number. But, ask any expert and they will recommend that one should begin packing theirÂ belongings as early as possible. Thus, if you are living in a big house at present, a time period of 60Â days is adequate if you want to pack a single box every day. While it is not an accurate figure, youÂ can definitely get a fair idea how to proceed with it. People usually forget to order packing materials prior to the packing day. Check a few packing material providers and pick the amount you believe you will need. It really makes sense to start packing those items first that is not needed by you or your familyÂ members on a regular basis. Instances of these are seasonal belongings, which you are not using atÂ present like Christmas lights, coats and garden tools. While the process may trigger some chaos butÂ rest assured you will be benefited in the long run. Do not be in haste. How about packing only 1 room and then proceeding to the next one? It is in fact, one of the most crucial packing tips that are often overlooked by many people. WhenÂ you proceed in this manner, you can remain organized and inform the people who are unloading orÂ the movers, which box contain what and go where. You can hold a sale in your garage or even donate your unwanted and old items to some nobleÂ cause or a charity. Websites such as eBay also help you to dispose of your unwanted belongingsÂ with great ease. In case, your friends are assisting you in the relocation process, you can find out ifÂ they require any item that you want to sell. Since you won’t be paying them for helping you outÂ with your shifting, this is the least you can do as a gesture of gratitude for their troubles. There are several reasons for restricting the weight of the boxes. There could be a possibility thatÂ the boxes will not be capable of withstanding the load or you may succumb to a back injury. HenceÂ you should pack light-weight belongings in big boxes and bulkier items in smaller boxes. It is anÂ important tip for packing that can spare you from a lot of troubles. You can use old rags, packing papers or even old newspapers for filling the gaps in your boxes. TheÂ action would ensure the safety of your belongings even during the ride. Use a market to note down the contents of every box. Avoid writing on the top and label them onÂ the boxes’ sides. That will make it simpler to identify them, in case they are stacked. You can alsoÂ use a marker with a different color to separate items of different rooms. If there are kids, you canÂ ask them to help you. It is a known fact that children love coloring and painting. So, it can be a funÂ way of decreasing the stress of relocation. It is an excellent tactic to prepare your children for the house removal and make them feel involved in the process. Make sure that your heavier boxes are at the bottom and the lighter ones are at the top. 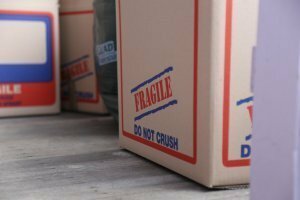 When youÂ place your packed boxes in this manner, you are simply making sure that the breakable or fragileÂ boxes do not get crushed while they are on the move. If you have boxes containing furniture partÂ and books, you should load them first.